The ez-gSEAL 100B pressure controller is designed mainly for automated patch clamping, but it can also be used for many other applications. With the ez-gSEAL pressure controller, patch clamping becomes as easy as a click of a button. The software-controlled pressure controller comes with pumps so air tanks are not required. 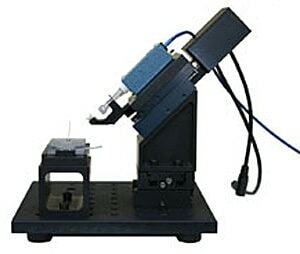 The PatchMAX 100A is an automated patch clamping system. Controlled by a computer, the instrument brings the patch pipettes to touch the surface of the cell membrane. The system can be manually controlled for experiments that need flexibility. 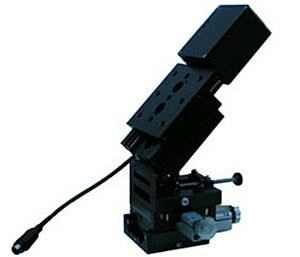 It can be upgraded to a ChannelMAX 100A. 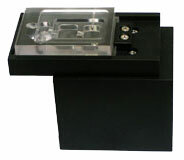 The ChannelMAX 100A Mini is the mini version of the ChannelMAX 100A. As the system is small and automated, the user can run it in parallel with a traditional two-electrode voltage clamp system to increase efficiency and save space. 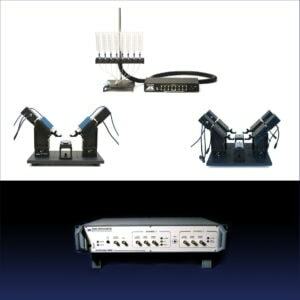 The Mini system can be upgraded to the ChannelMAX 100A Twin. The ChannelMAX 100A Twin comprises four automated manipulators, two perfusion chambers, one data acquisition control system, and software. You may use the system for two two-electrode voltage clamp experiments, or up to four patch clamp experiments. 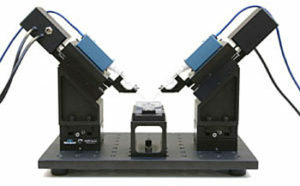 This system provides the best value for high throughput experiments. Accessories include Perfusion Chamber, Perfusion Chamber II, Amplifier Headstage Adaptor and the Perfusion Chamber Support Complex. 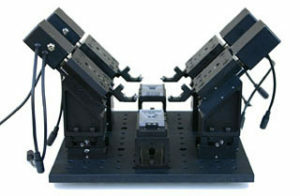 The Automated Two-Electrode Voltage Clamp Package combines the ChannelMAX automated manipulators with the Axon Instruments / Molecular Devices Axoclamp amplifier, Digidata DAQ and pCLAMP software for the ultimate oocyte recording rig. Just drop one or two oocytes into the included perfusion chamber and start recording! The optional perfusion system gives you automated control over pharmacology studies.